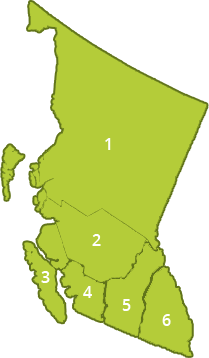 The Ministry of Forests, Lands, Natural Resource Operations and Rural Development (FLNRORD) is responsible for the stewardship of provincial Crown land and natural resources, and for the protection of B.C.’s archaeological and heritage resources. 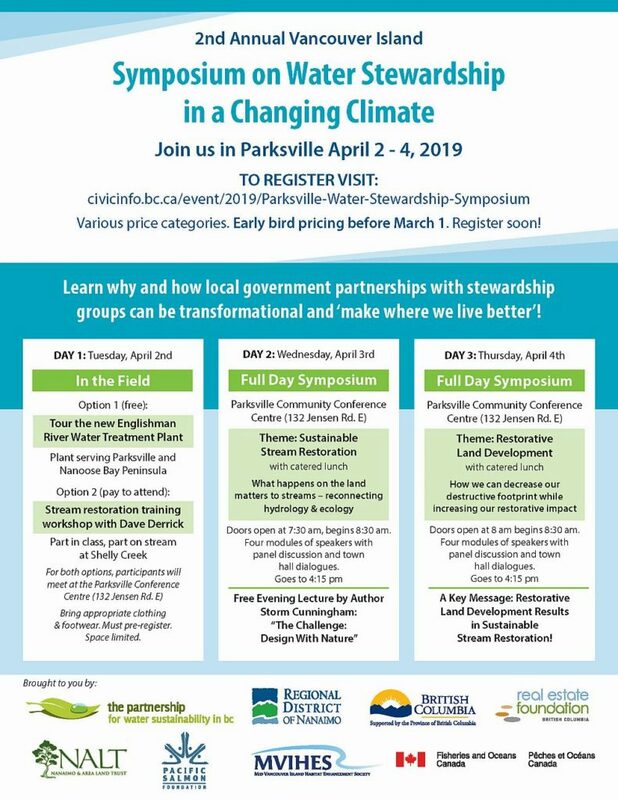 The Ministry is a member of the Parksville 2019 Symposium Organizing Committee, and is a financial supporter of the event, because the symposium aligns with the work of the Ministry. “For nearly a decade, the Partnership for Water Sustainability in British Columbia has been linking scientists, decision makers, and citizens working collaboratively toward integrated water management,” stated Neil Goeller, Regional Hydrologist in the West Coast Region of the Ministry of Forests, Lands, Natural Resource Operation and Rural Development (FLNRORD). “Building on the success of the Nanaimo 2018 symposium about Collaboration Success Stories on Vancouver Island, the 2019 water symposium in Parksville will share experiences and methods on the theme of sustainable stream restoration and restorative land development, drawing upon experiences in local communities, and case studies from international specialists in the hydrological field. “Sustainable water management is a central concern and focus of the work of FLNRORD, as we see the increasing effects of seasonal floods and drought that are predicted to increase as a result of a climate change.